It’s hard to believe that Jim started this business over ten years ago from his garage! Jim’s inventory was limited back then, but now we’re thankful for the awesome space that is the Arc-Zone warehouse where we can stock tons of welding product. In addition to the warehouse we have the Ultimate Weld Shop (TM) and soon a revamped retail zone. Oh, and best of all we have some of the best customers in the welding industry. We are always so inspired by the awesome work they’re doing, and we learn so much from them. We have customers who are welding experimental aircraft in their back yards, we have welders working in the armed forces, and we have customers who run super high tech automated welding systems. Inverter power supply technology that made welding machines so much smaller. You can read about the history of welding power supplies, and the switch from transformers to inverter based power sources on the Lincoln Electric website and read about Miller Electric’s latest innovations to the inverter based welding power sources on their website. Bottom line is that these innovations in welding make it possible for welders to go anywhere! Auto-darkening Welding Helmets…. no more flipping your lid (head) and straining your neck. And speaking of helmets, how ’bout all those cool graphics and innovations like under the (welding hood respirator systems to protect your lungs! As a woman welder, another “innovation” that I am thankful for are smaller sized welding gloves. I have tiny hands–most women sized gloves of any kind don’t fit my hands, but they are a lot closer than any man-sized gloves ever will be. So to have welding gloves made for women that are just a little too big makes it much easier to get the job done! 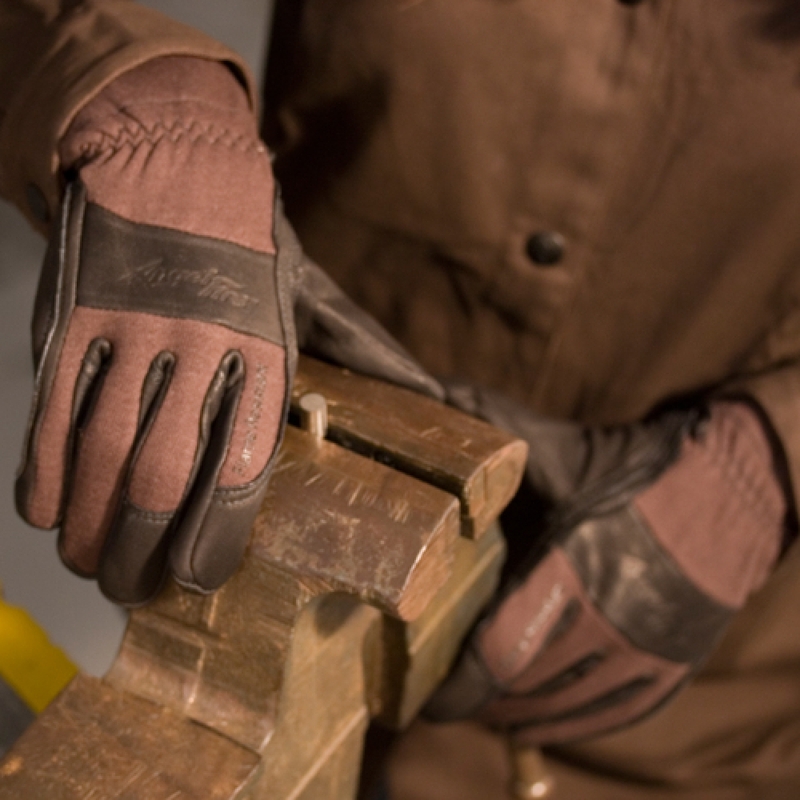 And don’t worry– Arc-Zone carries man-sized welding gloves too! So as you crank up your power supply and get ready to lay down a bead…. think about what you’re thankful for, and let us know! We’ll add it to our ever-growing list. And have a Happy Thanksgiving! This entry was posted in Welding History on November 19, 2012 by Carmen. No, we’re not talking about not insects, nor the Protestants. These are the Women Airforce Service Pilots (WASPs) who served during WWII (the first to ever do so) — right alongside the Rosies who helped build the planes in which they flew! WASHINGTON – A long-overlooked group of women who flew aircraft during World War II were awarded the Congressional Gold Medal on Wednesday. Known as Women Airforce Service Pilots, or WASPs, they were the first women to fly U.S. military planes. About 200 of these women aviators, mostly in their late 80s and early 90s and some in wheelchairs, came to the Capitol to accept the medal, the highest civilian honor bestowed by Congress. In thanking them for their service, House Speaker Nancy Pelosi said these women pilots went unrecognized for too long. “Women Air Force Service Pilots, we are all your daughters, you taught us how to fly,” Pelosi said. In accepting the award, WASP pilot Deanie Parrish said the women had volunteered to fly the planes without expectation that they would ever be thanked. Their mission was to fly noncombat missions to free up male pilots to fly overseas. This entry was posted in Original Rosies, Welding History, Welding Industry News on April 5, 2010 by Editor. Albert Paley went from designing jewelry to creating sculptures of immense stature, but continued to use the same soft touch, even when creating giants out of steel. It is easy to be impressed by the Albert Paley retrospective at Grounds for Sculpture, the 35-acre sculpture park and museum on the former site of the New Jersey State Fairgrounds in Hamilton. The size and scale of the metal sculptures in this indoor exhibit are mind-blowing; some pieces are around 15 feet high, while others weigh up to a ton. They are monumental. Born in Philadelphia in 1944, Mr. Paley initially worked in New York City making art jewelry, but in the late 1960s he moved to Rochester, where he is on the faculty of the Rochester Institute of Technology. He is essentially an abstract artist, assembling dynamic, flamboyant structures using wedges, blocks and ribbons of steel. The artist’s training as a jewelry designer has served him extremely well, for while the scale of his artwork has exploded, his attention to detail has remained steadfast. He is a perfectionist who seems to take delight in challenging himself in terms of execution and concept. He is also the only heavy metal sculptor I know who can make his material seem fragile and delicate. This entry was posted in Welding Art, Welding History, Welding Industry News on March 29, 2010 by Editor. I want to steal the name of her blog. Seriously. 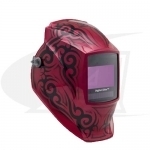 This is a fantastic look into the workings of a women welder’s mind written by Wendy Welder. Perhaps she is related to our good friend, Joe Welder?? Even as a little girl, I had dirt under my fingernails and grease smeared across my face. I grew up in the garage, at the shop, out in the yards with my Dad. Dad worked in tire retread and his hobby was cars, so I saw a lot of cars, a lot of trucks and a lot of men in my childhood. Weekends were spent at the race track or at car shows. Dad raced a 1972 Nova before I was born, and I think everytime we went to the track he wished it was him out there. It wasn’t long before I wished it was me. My first car was a Chevy Nova. I drove it everywhere, and I loved it like it was my child. But, it was my first car, and I was just learning how to take care of it and how everything worked. My parents always reminded me to check the oil and I always forgot. When the engine blew, Dad made ME replace it. (Of course he helped) And while I had always been around when he worked on cars, seeing the daylight through the hole in the block where the rod had flown through, and the whole process of the replacement, the sense of accomplishment when the car was up and running again, made me love that car even more and made me want to spend the rest of my life around cars. This entry was posted in Welding Education, Welding Fun, Welding History, Welding Industry News on March 22, 2010 by Editor. Gordon Brown has lately honoured the women who worked in the steel factories during WWII! Huzzah for our fellow Rosies from across the sea! Prime Minister Gordon Brown has paid tribute to hundreds of female workers who toiled in the steel factories of South Yorkshire during World War II. The workers, known as the Women of Steel, produced metal which was essential for the war effort. Among them were Ruby Gascoigne, 87, Dorothy Slingsby and Kathleen Roberts, both 88, and Kit Sollitt, 90, who were honoured on a visit to Downing Street. They travelled from Sheffield on a train named the Women of Steel Express. The engine was specially renamed in honour of the occasion and was unveiled by the four steel mill veterans before their journey on Wednesday. The women received a special letter of thanks from veterans minister Kevan Jones and met Sheffield MPs at the House of Commons before visiting 10 Downing Street. This entry was posted in Original Rosies, Welding History on March 19, 2010 by Editor.